Beautiful, flirtatious, and recently widowed, Lady Susan Vernon seeks a new and advantageous marriage for herself, and at the same time attempts to push her daughter into marriage with a man she detests. Through a series of crafty maneuvers, she fills her calendar with invitations for extended visits with unsuspecting relatives and acquaintances in pursuit of her grand plan. As the plot unfolds, characters are revealed and the suspense builds, all through letters exchanged among Lady Susan, her family, friends, and enemies. Described by her rivals as the "most accomplished coquette in England," amply endowed with "captivating deceit," Susan proves to be a remarkable figure, devoid of any redeeming qualities, whose intrigues and devious machinations ultimately lead to disastrous results. Lady Susan is a magnificently crafted (and frequently provocative) novel of Regency customs and manners, which has become a readers' favorite among the author's shorter works. 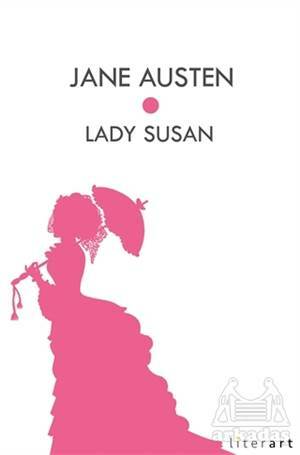 Austen enthusiasts and students of English literature will delight in its wit and elegant expression.